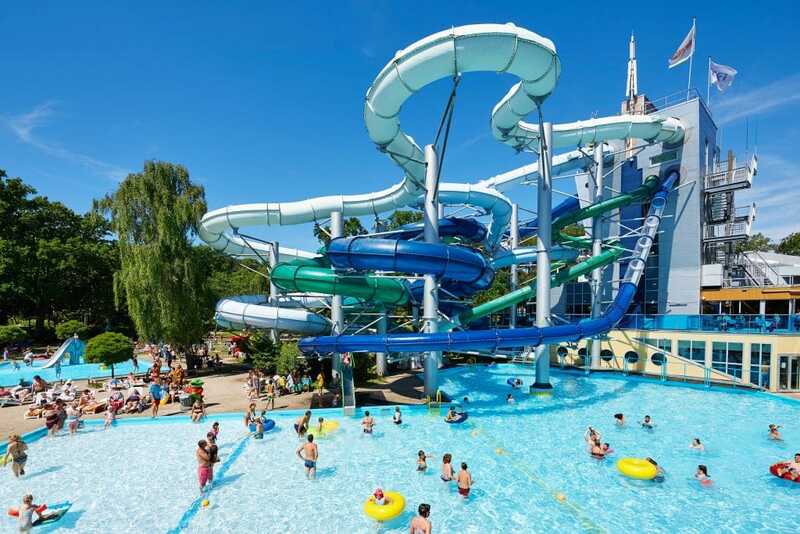 If you’re looking for the perfect location and entertainment for the whole family, great water park, a town within walking distance and a beach too then look no further than Duinrell. One huge advantage of staying at Duinrell is that there is no need to have a car as Amsterdam Schiphol airport is a taxi drive, short train or bus ride away. 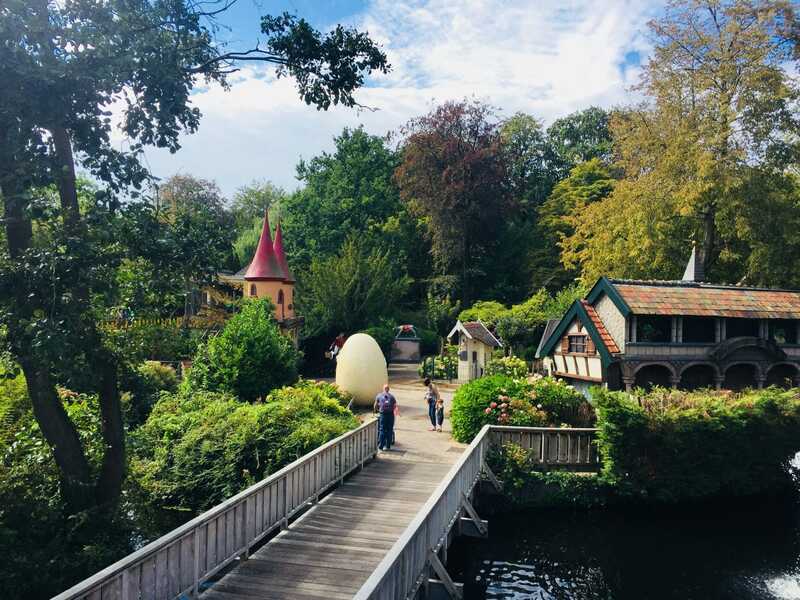 Duinrell holiday and theme park is located in the beautiful village of Wassenaar. It is set in extensive woodland yet is just around the corner from the beautiful coastline of Wassenaarseslag which is an unbelievable 8km stretch of beach to stroll along or relax and play, do some wave jumping or dive straight into the North Sea. Whatever the weather or your preferred beach activity this beautiful beach is perfect for at least one family day out. You could do what we did and rent family bikes from the park and cycle to the beach along the safe cycle paths. Whilst there you will also discover a good selection of cafes along the beach serving a range of refreshments, not to mention fresh battered fish straight from the sea. 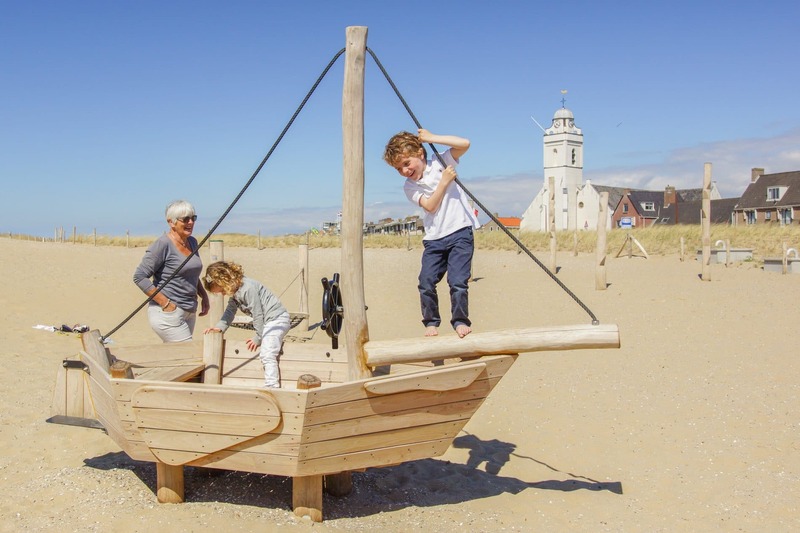 If you venture a little further there are even more beaches to explore including Scheveningen and its impressive boulevard complete with family attractions. The park itself includes a theme park and water park. 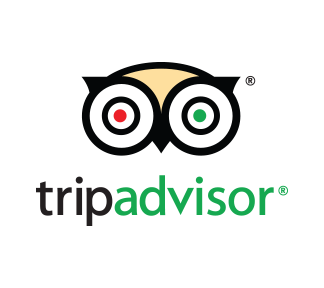 All of the accommodation is situated a short stroll from the theme park making it easy to access with younger children. 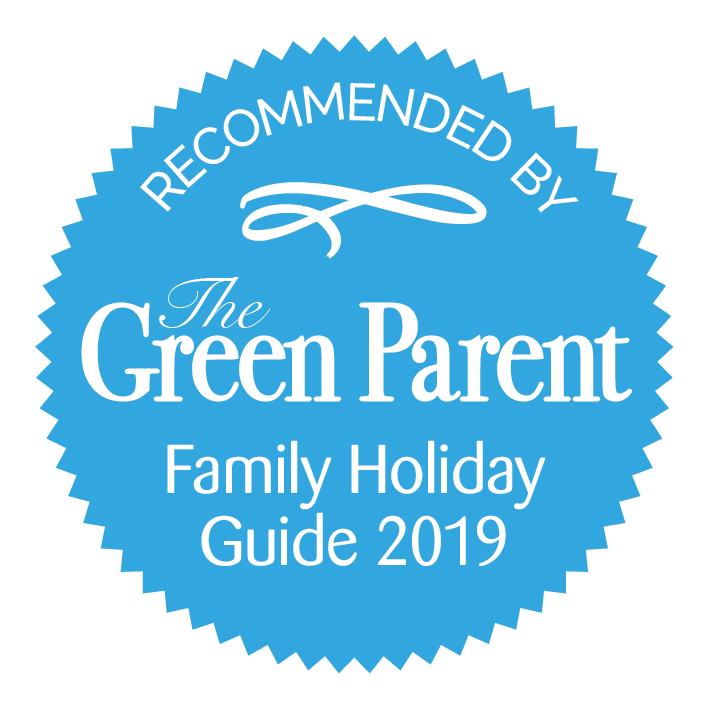 Even with its direct proximity to all the exciting attractions the holiday park accommodation has a very relaxed feel and provides the perfect place to put your feet up and really get into the holiday spirit. The joy of staying at Duinrell really is its perfect balance between entertainment and relaxation. 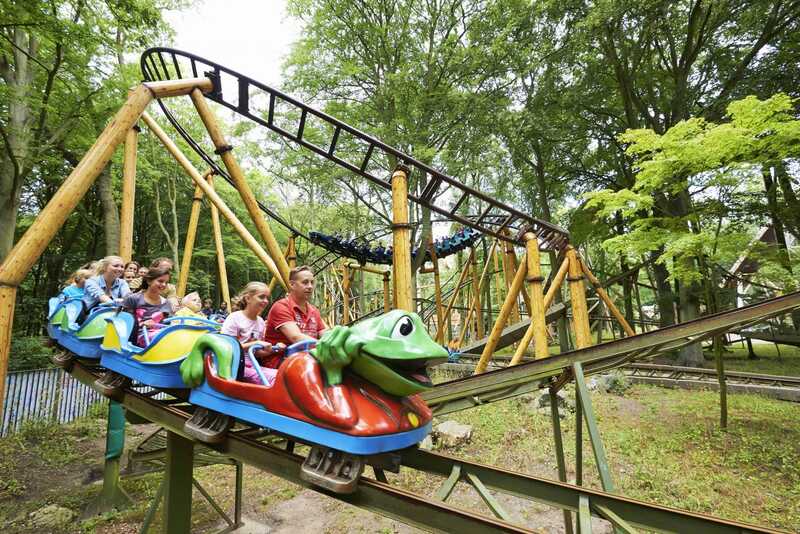 Duinrell theme park is free for those staying on the holiday park. 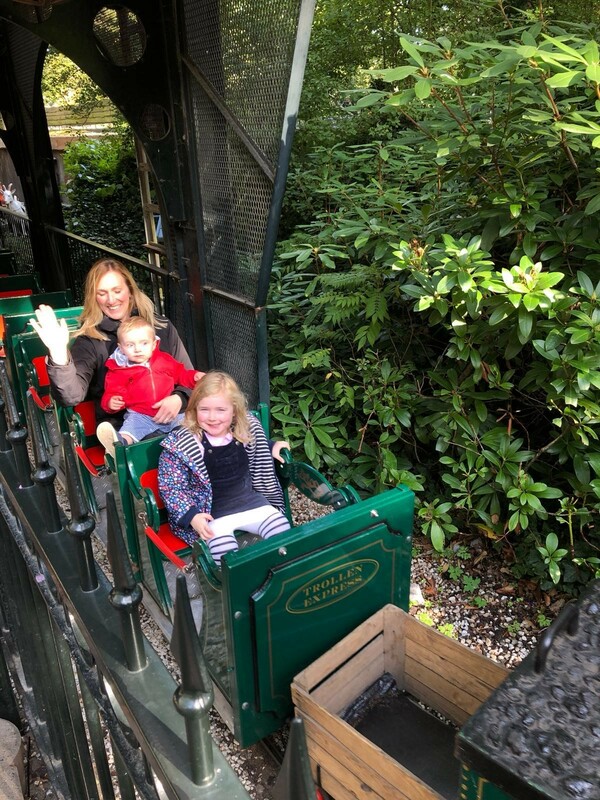 It is not on a large scale like Alton Towers or Disneyland but it provides plenty of variety, thrills and excitement for all ages whilst maintaining a lovely friendly family atmosphere. As your accommodation is never far away it is so easy to leave the fun of the theme park and find yourself back in your own little tranquil spot for a midday nap, rest or lunch break before heading back to the park (if you so wish). Of course there is no need to do everything all at once, but slowly familiarise yourself with the rides that you enjoy the most. 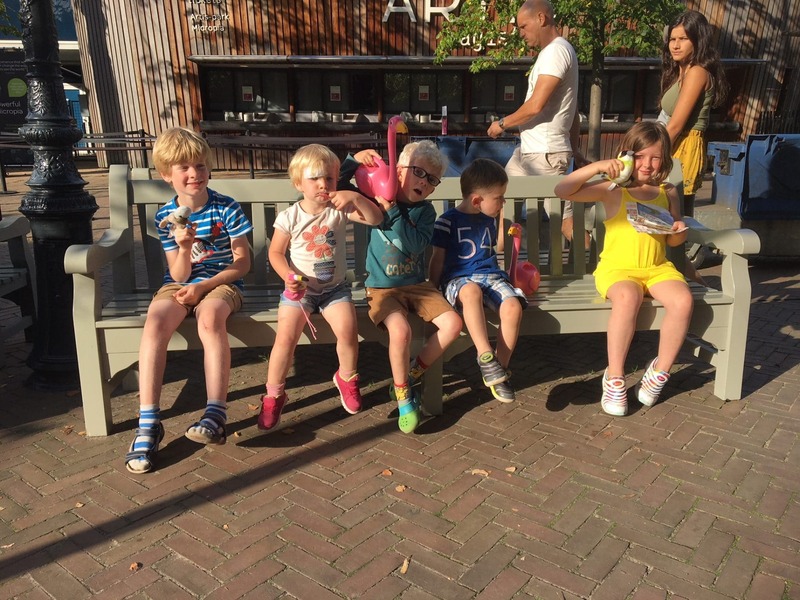 The trains, kikkerbaan mini roller coaster, monorail, go-karts, rowing boats, trampolines to name but a few are all perfect for young children. There is also a huge playground which is open even after the park is closed. Duinrell is centred around Rick the Kikker and his friend Leli who are frogs and can be met as they walk around the theme park and restaurant at specific times of day. In the fairytale discovery area you will find two shows which are perfect for toddlers, the play kwek show, which is a sort of talent show and Kwakus Kwebbel that tells the story of a mole who is trying to discover why he has a bump on his head and meets other mini-beasts and creatures along the way. Although quite old fashioned, these shows never fail to entertain a younger audience, especially as they are allowed to participate in the scoring of the talent contest. Within the theme park there is an abundance of eateries to choose from but we love the pancake house which features its own working traditional carousel right in the middle of it! The Park Plaza is where you will find a range of restaurants and a snack bar/take away, a large mini-market, an Irish pub and a roof top bar and lounge. In the plaza you will also find the base for children’s animation and a large games room. The kids’ disco with its Duinrell songs is a big hit. Check the notice board next to the shop for the different types of organised animation and their timings. You will also find baby changing facilities here and a good selection of baby goods, toys, toiletries and food. What’s even better is that your children can help you with your shopping by using one of the toddler sized trolleys. 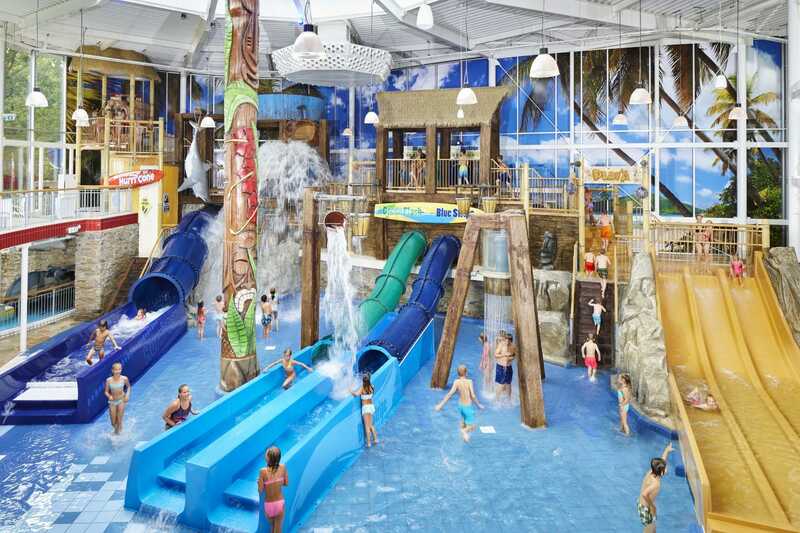 The Tikibad is a huge indoor water complex which includes 16 thrilling water slides. Within the pool there are play pens and seating areas and even a snack bar serving hot and cold refreshments. 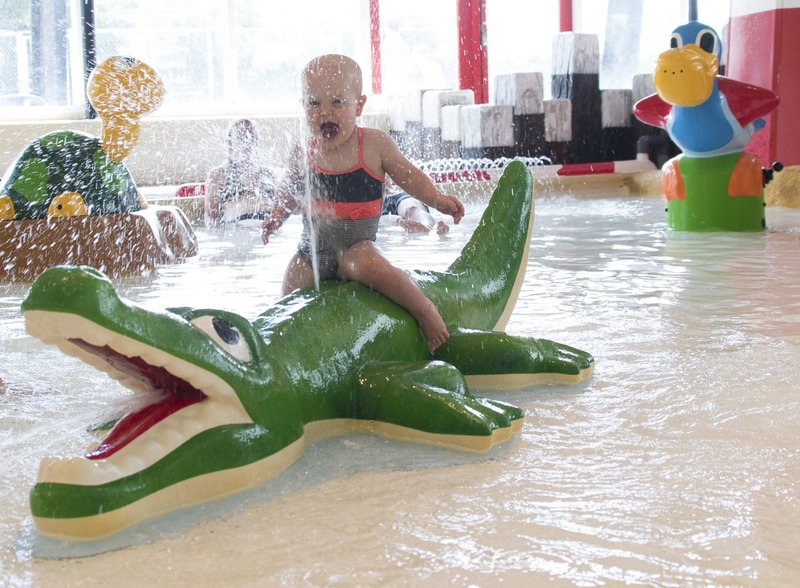 2017 saw the opening of a new extended water park play area for children under 120cm, with a wide range of exploratory activities, fountains, slides, water canons and a lovely heated pool area. There are a number of pool areas to try out and a lazy river ride for the whole family and a wave pool too. In the warmer summer months there is an outdoor pool with lawn area which is being completely renovated for 2019. 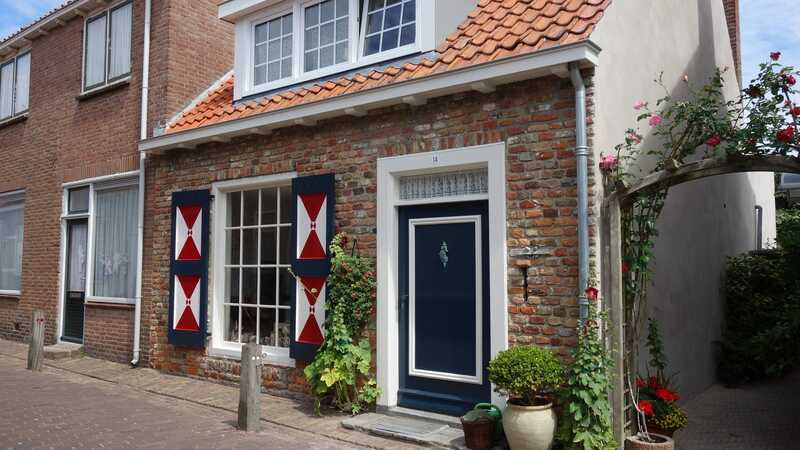 If you manage to tear yourselves away from the fun on park, Wassenaar is a beautiful picturesque village to visit and literally begins on the doorstep to the park. Walk along its beautiful cobbled streets and pedestrianised shopping streets and soak up some Dutch culture along the way. 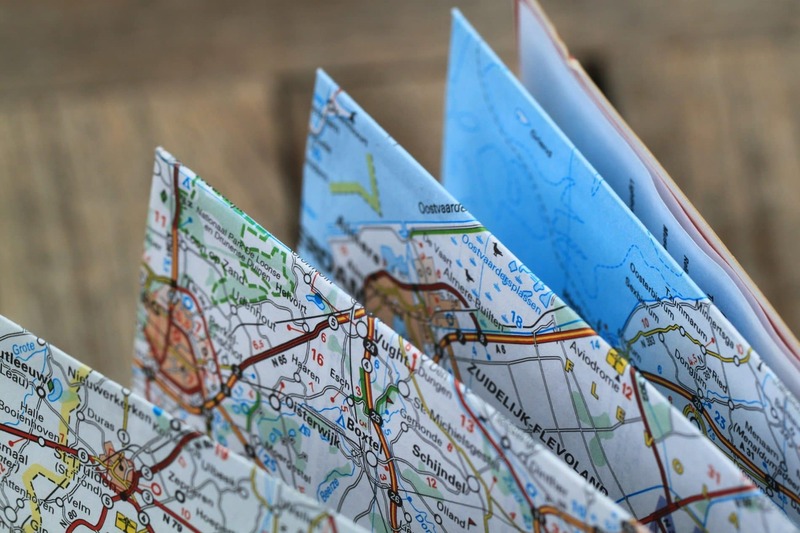 There you will discover boutique stores, a fabulous ice-cream parlour and even an English convenience store just in case you need some PG tips! Bring a passport photo of yourselves as you will need this for your entrance card that gives you entry to and from the theme park. ‘Comfort’ most of which are in quiet areas with some featuring fenced terraces and some with special children’s features such as a slide in the garden and extra safety features. ‘Premium’ which offer more luxury such as box spring beds, dishwasher, tv and free wifi. Duinrell are also building extra luxury “Premium Plus” units for 2019 which are over 2 floors. Each type of Duingalow is a different size and can accommodate between 4 and 7 people. Each has a terrace or patio area with garden furnishings. You can also select a Kid’s Duingalow with additional safety features and a slide in the garden! Luxury Lodge tents are set within sand dunes, feature free wifi and include a toilet and private bathroom facilities. 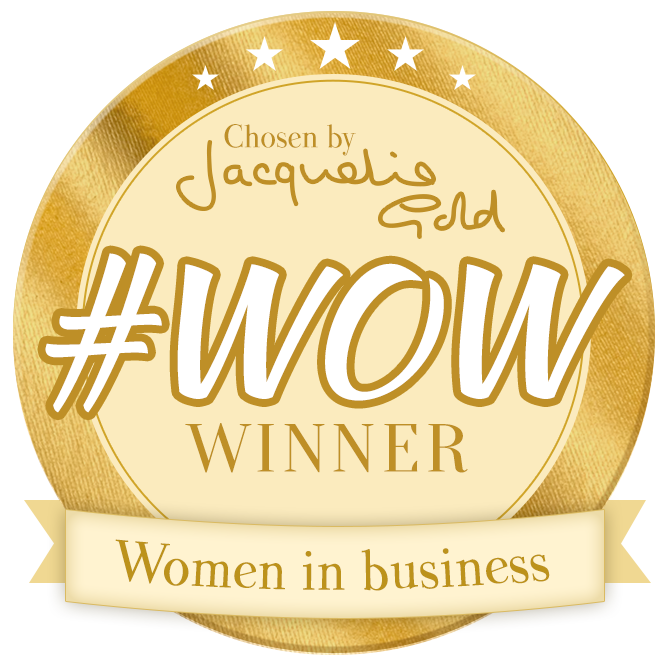 This accommodation type also includes all modcons for cooking, relaxing, sleeping and bedrooms have luxury mattresses. You get access to the indoor and outdoor pool included in the price. Lodge tents are found within a natural setting and have two bedrooms, modern conveniences such as a fridge freezer, microwave and coffee machine and a furnished terraced area. There is a private bathroom and sink in the lodge tent and showers can be found in the toilet block just a few steps away. Tiki pool entrance is not included in the price of standard lodge tent bookings but you get access to the outdoor pool. Eurocamp offers a selection of 2 and 3 bedroom holiday homes (sleeping up to 8) and 2 bedroom tents. We recommend Eurocamp’s newest range of luxury holiday homes: the Avants, the Aspects and the Azures. All Eurocamp holiday homes have their own wooden veranda and the rooms are all on one level, making it super safe for little ones. 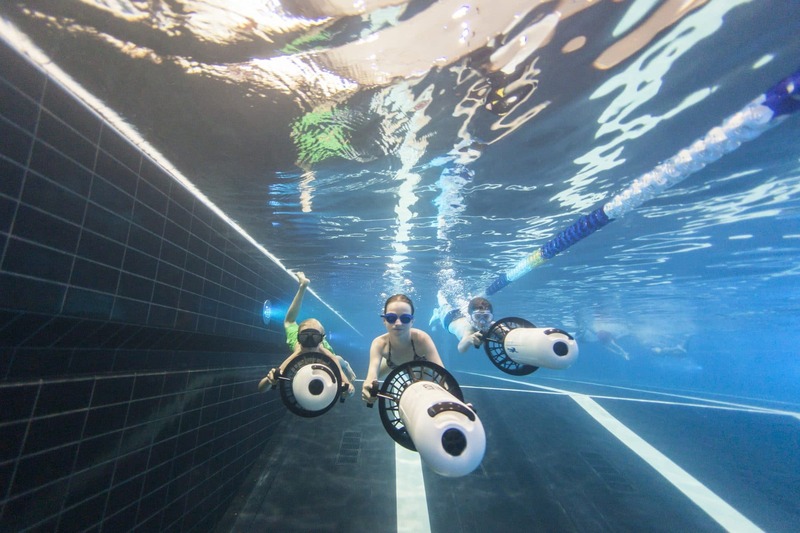 Eurocamp customers have to pay for access to the pool complex (€5,50 per person for 2 hours). This is for access to both the indoor and outdoor complex. This park is fantastic. Everything is close, and easily within walking distance (incl the nearest town). We stayed in a cabin which had everything we needed. It felt completely safe so the kids were able to take their bikes and go explore the theme park. The supermarket was well stocked and the staff were very friendly and helpful. The pool was incredible too. Kids were knackered so everyone wins! We’ve already booked for next year. Eurocamp Aspect and Avant holiday homes have extra large gated wooden verandas, perfect for keeping babies and toddlers safe while playing outdoors. Cots, high chairs. potties, baby changing mats and bed rails can all be hired free of charge. Wassenaar beach- 4km from Duinrell and a safe bike ride to get there. Scheveningen beach- Just a 15 minute drive away (11km), boasts a huge promenade and beach in The Hague. Here you will also find a Sealife centre along with a wide range of beach front cafes, bars and restaurants. Madurodam- Visit this miniature interactive world of airports, Dutch monuments and water ways, a perfect day out for kids. A 15 minute drive away (11 km). Corpus-A museum which is built within a 35 metre body. Take a journey around the body itself and discover how your body works through interactive activities. 15 minutes by car (7km). 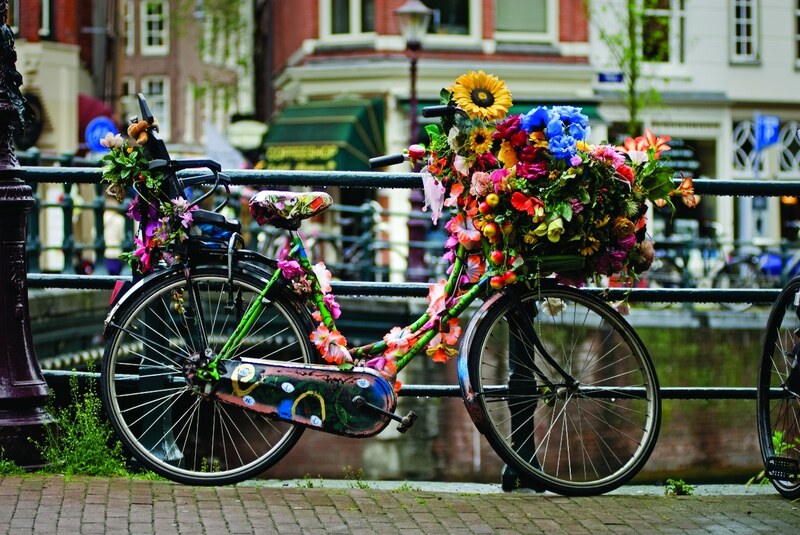 Amsterdam- just a 45 minutes drive or train ride (55km). 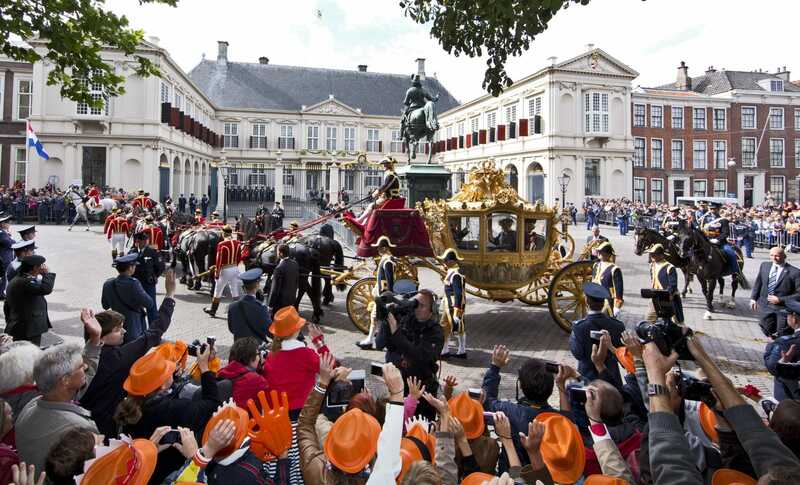 Visit the Royal palace, take a boat ride along the canals, visit one of the many world famous museums or take a pew on one of the picturesquely placed terraces and watch the world go by whilst soaking up the Dutch culture and history surrounding you. Leiden- with picturesque canals, windmills and beautiful traditional houses, Leiden offers everything you expect from a quintessential Dutch town but is much more relaxed than the bigger cities and is only 20 minutes drive away (10km). 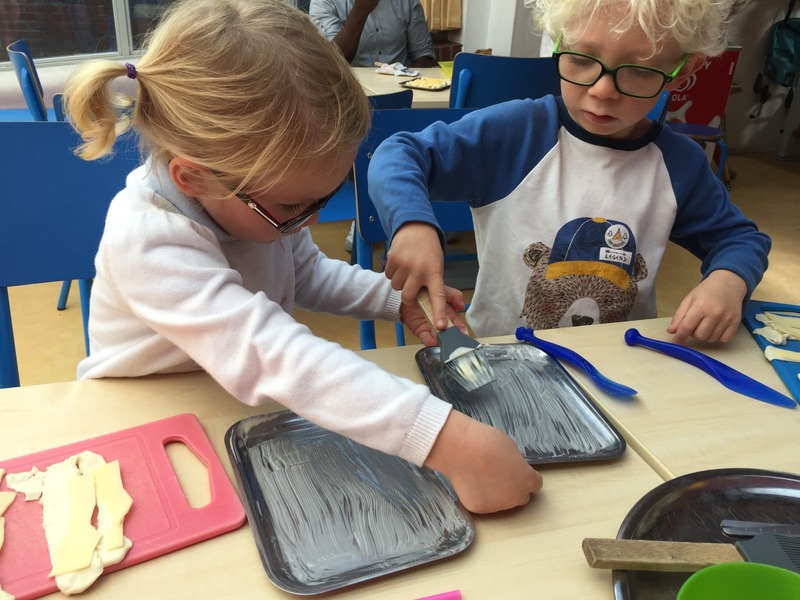 Naturalis – a great museum for any budding anthropologist, where you can explore the life of dinosaurs and other amazing creatures from past to present. Located in Leiden (10km). 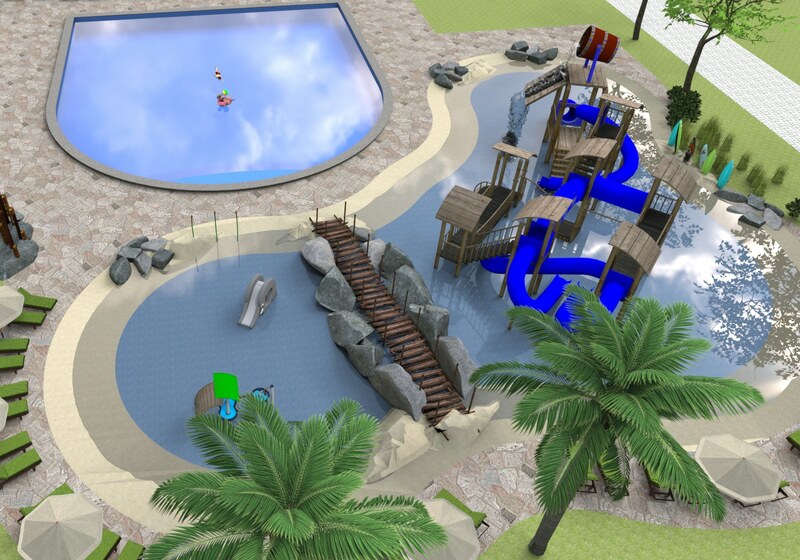 Outdoor swimming pool and sun terraceNew slides and outdoor water play area planned for July 2019! Getting to Duinrell couldn’t be easier meaning your holiday will start soon after you land on Dutch soil. Driving from Amsterdam Schiphol airport is just 25 minutes (32km). Rotterdam ferry port is 50 minutes drive (58km) and Hook of Holland ferry port is a short 40 minute (37km) drive away. If you prefer public transport there are great links to trains and buses too.